Everyday Underwear: Wednesday Woo-Hoo - Oh mah gah, it continues! So many things to Woo-Hoo again! 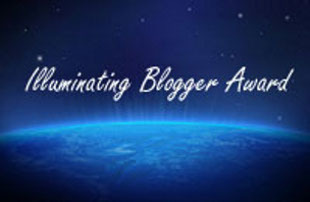 I received another new award, the Illuminating Blogger Award (<--visit this link to learn all about the award - it's a little different), from Lisa Thomson at Lisa Thomson Live. Lisa has a book and blog for divorce support and this was her first award (hard to believe!) , which I am very happy to accept. Thank you, Lisa! "One random fact about myself" is the requirement for this award: I ate three boxes of Snyder's Sourdough Hard Pretzels this week. It was kind of a binge. Pretzels are one of my favorite snacks, and those are the bomb! 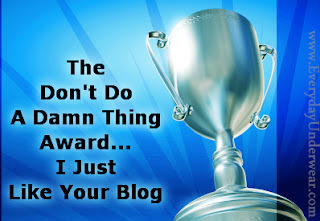 I pass this award on to just one blogger (yep, that's me - rule breaker! ), Trisha Faye at So Many Books, So Little Time who has the most "illuminating" blog I know of because she gives you a reason to celebrate each and every day. Check her out, you'll see what I mean! I got featured as Blog of the Day on 7/3/12 by Blog PR Wire and they wrote a very nice review of my site. They, like BlogHer and the rest of the blogging planet, appreciate the Don't Do A Damn Thing Award piece and gave it the respect it deserves. After your nap, don't answer any questions or tell anyone anything about yourself. Add a chocolate or alcoholic perk if you're so inclined. Pass it on to someone - when and if you feel like it. Oh, and smile and sigh like you're really happy - a lot, just to make other blogs jealous. Another Woo-Hoo, I was also featured on the front page of The Lunch Break Blog on 7/9/12 with my post The Art of the Smile - Would You Like Happiness with That? Check it out if you missed it. My first guest post appeared on RachelintheOC. I'm happy that I was able to show another side of my writing. Yes, I can do that! And I am fine, recovered, healed, and have a wonderful husband now to make up for all of that mess I wrote about, so it's all good, people. Don't worry about me, I'm fine! Many thanks to Rachel, who made me feel like a rock star with her descriptions of my writing. Love you, girl! xoxo And the response has been phenomenal! Many women messaging me privately and sharing their stories, thanking me, telling me I'm brave. The amount of re-Tweets of my story blows my mind! I am expecting Oprah to call any minute, LOL! Also, my Everyday Underwear blog is now officially available on Kindle Publishing as a subscription purchase. Get it delivered to your Kindle for a monthly fee of .99 cents and I will make enough for a piece of bubble gum. No, no, no... not a whole pack, but a piece, at least. Purchase for Kindle here ;0) I already have one subscriber! Okay, I admit it... it's my mother. Also, I'd like to request that if you are a regular reader of Everyday Underwear (I'm looking at you, listed people from the next paragraph), please do me the honor of writing a review of my blog on Amazon. There are a couple on there already (one is not my mother, nor have I met the person). You don't have to subscribe on Kindle to the blog in order to do that, you only have to have an Amazon account. I will thank you and my Everyday Underwear thanks you! If you have a book I'm reading, I will review it as well when I am through reading it. Woo-Hoo that YOU will now get a Woo-Hoo every Wednesday, too! 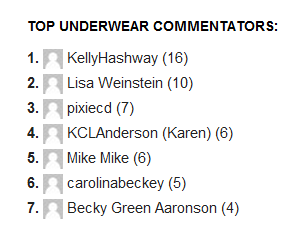 I have decided that as a way to honor my Top Everyday Underwear Commentators every week, I will take a screenshot of my top peeps each weekend and put it in my weekly Wednesday Woo-Hoo! You'll be famous-ish! All you have to do is comment often and ta-da... you get your name up in lights. I hope to tweak this feature, but in the meantime, it's my way of saying thank you and I love you back ;0) As of this past Saturday, these were my top peeps, but look and see if YOUR name is there today! Also this week, I found that people actually take me seriously. What I mean is that people seem to think I'm more important than I think I am. I get all kinds of people saying, "Don't forget us little people!" and "Will you be my mentor?" 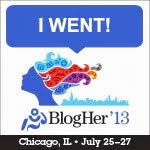 and "You're my blogging hero!" At first, I said pshaw to all of the flattery, but as I think about it, I realize that I need to take that as a sign. I think I might just be pretty good after all at this writing thing. I am learning to embrace and accept the praise and use it for the good of all mankind. Okay, that's a little overboard. Some of mankind. Okay, you people. LOL, I love you all... and good night, Everyday Underwearians! Woo Hoo I'm number 2! You just made up a cheer! By the way, thanks for the +K on Klout! What a great idea! A top commenting award is a great idea! Mind if I steal it? My readers would love that! Yeah, totally! Here's the link to where I got this one, Geraud. It still needs some tweaking, but it does the job better than the last one I was using. There are several different types out there, just do a google search for tom commentator widgets or something like that. Awww, what a great Woo-Hoo day! Thanks for the mention Cindy and you certainly deserve this award. Congrats on the blog being published on Kindle, that's fantastic. Go, Girl! I'm goin' - never gonna stop! 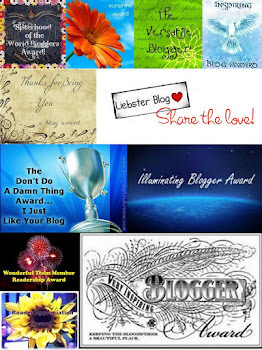 Thanks for the blog award and the shout out Cindy!! Thanks for sharing your link on cell phone use from Dec. I had to share it on my 'A Reason to ...' FB page. No, YOU'RE the best! LOL! And thanks for saying you'd subscribe to my blog if you had a Kindle. That's sweet! Very good articles and style of blogging. later on , to see what exactly else you may have in store :-) ! !! I'm just going to find if my wife and I will be able to identify anything on the topic of elf cosmetics coupon codes 2013!! Man...solid site you've got right here. 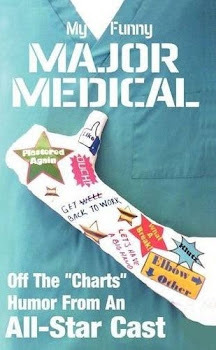 Loads of excellent articles as well as related facts!!! Do you offer any existing content pertaining to skin care regimen for 60s?